This is the smallest stun gun in the world! About the size of a pack of gum, the Night Watchman Mini Stun Gun packs the same power of a traditional-sized stun gun. 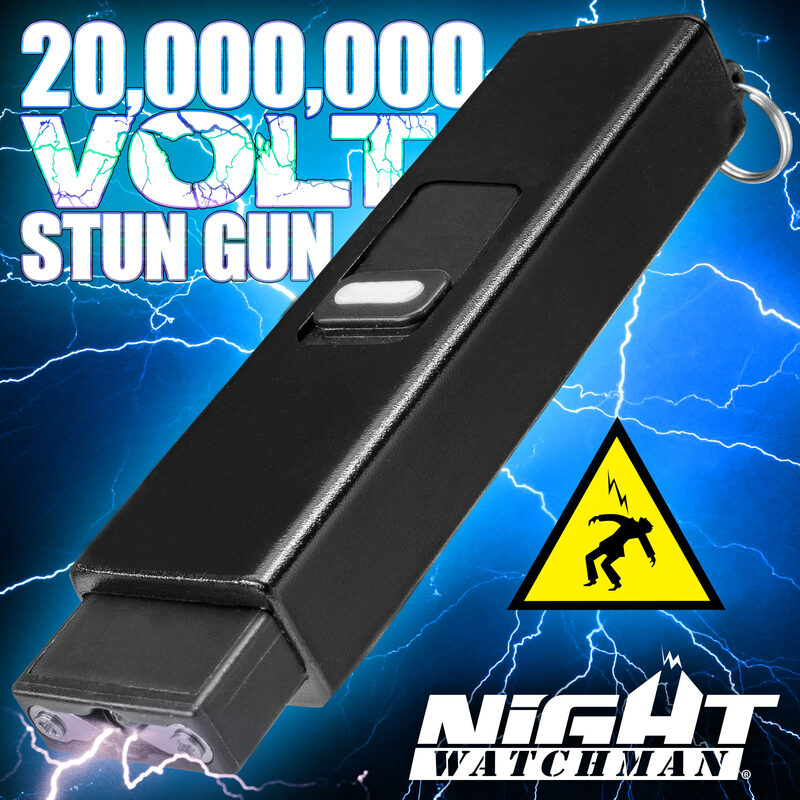 The 20,000,000 volts mini stun gun is powered by a rechargeable lithium polymer battery, which charges using the included USB cord. The integrated LED flashlight provides a convenient source of light whenever you need it and can also be used to blind an assailant. To prevent accidental discharge, two levels of safety have been built-in: a functional off/on switch and a shock control button. At only 3 1/2”x 1”, the compact stun gun can be attached to your keys and is easily concealable in your hand, pocket or purse.